Imaging? We are not doing that anymore. 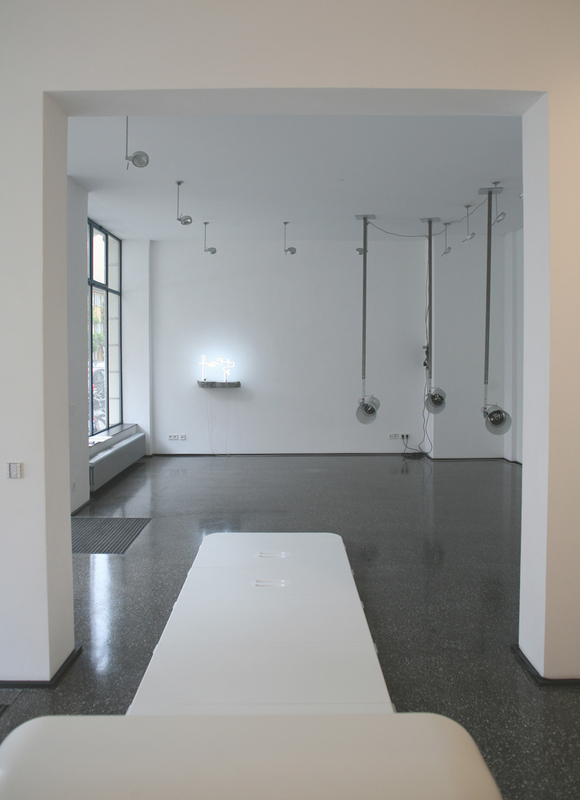 modul_aero is Ivo Ricks and Nicola Arthen's first joint exhibition. They transform their idea of ​​an experimental installation in which moving air is understood as a connecting element between the sculptures exhibited. Nicola Arthen deals with technological progress in his installations and exhibition projects. As a result of spatial experiences, he creates sculptures, filmed choreographies of working bodies, sound installations for the car, or artificial temperatures, in order to examine how increasingly automated and serially produced things and architectures move physically and emotionally, like routines, longings and public space.